Be As Successful at Home As You Are at WorkSo many professionals work non-stop to secure the next rung on the corporate ladder. Why then do they struggle to enjoy their success even at the peak of their career? 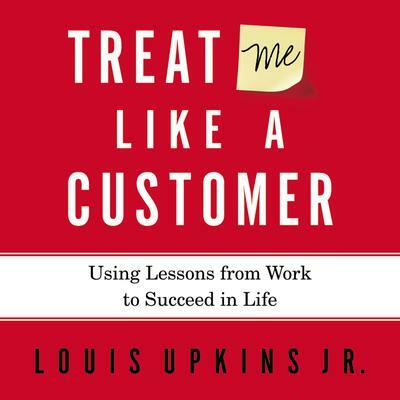 According to entrepreneur Louis Upkins, by using a simple customer-service principle, you can learn how to be just as successful at home as you are at work. Fulfill your calling as a parent and spouse by treating those closest to you as well as you would treat your customers.Powerful stories and clear, practical teaching help leaders at every level reorder their priorities and bring their lives back into balance in this unabridged audio download of Treat Me Like a Customer. You will learn: • How to balance the demands of work and home • What your loved ones really want • How to regain trust and build integrity • Why a good fight isn’t the end of the world • How to protect your family from competition By applying these and other tactics explained by Upkins, you will reconnect with your family and experience the same success at home that you enjoy at work. Author Bob Buford & Louis Upkins, Jr.